Travel notes: Plane fare is usually cheaper to Logan Airport in Boston MA than to Portland Jetport in Portland ME, but Portland is less than an hour drive to camp, whereas from Boston, it's 2.5+ hours to camp by car. There is direct bus service from both Logan Airport and Amtrak's South Station in Boston to Conway NH, which is only 7 miles from camp. We are happy to pick you up in Conway NH at any time, and — with enough advance notice — can arrange to get you to and from Portland as well. Since several of our regular campers live in the Boston area, if you travel on a weekend, we might be able to arrange a ride for you to and from Logan Airport or South Station. The closest major airport is Portland Jetport in Portland ME. There is no bus service between there and camp. Rental cars and taxi service are available at the airport. If you let us know ahead of time when your flight arrives, we will probably be able to arrange for someone from camp to pick you up. Fryeburg also has a small airport, Eastern Slopes Regional Airport, for private airplanes. Amtrak "Downeaster" goes from South Station in Boston MA to Portland ME. If you let us know ahead of time when your train arrives, we may be able to arrange for someone from camp to pick you up. Concord Coach Lines offers bus service from both the airport and the train station in Boston MA to Conway NH, only 7 miles from camp. Let us know your arrival time and we will be happy to pick you up at the bus station. 1. Make your way to Rte 95-N and the New Hampshire state line via either Rte 1-N, Rte 128-N, or Rte 495-N.
2. Take exit 4: Spaulding Tpk/Rte 16-N (partial toll road) in Portsmouth NH. 3. No matter what Google Maps or MapQuest says, stay on Rte 16 for 76 miles to Conway NH. 4. Continue straight ahead at the 3rd traffic signal on Rte 113-E for 7 miles to the Maine state line. NOTE: Rte 302 merges with Rte 113 two miles beyond Conway; just keep going straight ahead. 5. The FNCA entrance is on the left, 2/10 of a mile past the state line, directly opposite Haley Town Rd (the first side street). There are two recommended routes. The Short Way is shorter distance-wise but has significantly more traffic and can actually take longer than the other route, especially Friday-Sunday. The Scenic Route is 26 miles longer but is significantly more scenic, has no tolls, always has way less traffic, and often ends up getting you there sooner especially on weekends.... unless, of course, you are driving through the middle of the night, in which case you are usually better off taking the Short Way. 1. Make your way to the Hutchinson Parkway north at Rte 287. 2. Continue on the Hutchinson Parkway 3 miles to the CT state line where it becomes the Merritt Parkway and Rte 15. 3. Stay on the Parkways (it changes names in Milford) 65 miles. 4. Exit 68, Rte 91-N for 17 miles. 5. Exit 29, Rte 15-N for 2 miles to end. 6. 84-E for 40 miles to end. 7. Bear right onto the MassPike/Rte 90-E (toll road) for 28 miles. 8. Exit 11A, Rte 495-N for 63 miles to end. 9. Straight ahead to merge onto 95-N for 14 miles (partial toll road). 10. Take exit 4: Spaulding Tpk/Rte 16-N (partial toll road) in Portsmouth NH. 11. No matter what Google Maps or MapQuest says, stay on Rte 16 for 76 miles to Conway NH. 12. Continue straight ahead at the 3rd traffic signal on Rte 113-E for 7 miles to the Maine state line. 13. The FNCA entrance is on the left, 2/10 of a mile past the state line, directly opposite Haley Town Rd (the first side street). 4. Exit 68, Rte 91-N for 204 miles. NOTE: There is a Rest Area in Brattleboro VT after mile marker 5, and another in Bradford VT right at mile marker 100. 5. Exit 17 at mile marker 110. 6. Right off ramp on Rte 302-E for 7 miles. NOTE: 302 makes right and left turns both in Wells River VT and across the Connecticut River in Woodsville NH. 7. Right on Rte 112-E (at the big green iron bridge that you don't go over) for 56 miles to the end in Conway NH. NOTE: There is a Rest Area about halfway across Rte 112 in Lincoln NH on the right at the traffic light across from the Rte 93 entrance ramp. 8. Left on Rte 113-E (which is also Rte 16) for 7 miles to the Maine state line. NOTE: Rte 16 turns left at the second traffic signal; just keep going straight ahead. Rte 302 merges with Rte 113 two miles beyond Conway; just keep going straight ahead. 9. The FNCA entrance is on the left, 2/10 of a mile past the state line, directly opposite Haley Town Rd (the first side street). 1. Make your way to Rte 90-E in Cleveland OH. 2. Rte 90-E about 465 miles to just outside Albany NY. 3. Exit 24, Rte 87-N for 1 mile. 4. Exit 1N to stay on Rte 87-N for 6 miles. 5. Exit 7, Rte 7-N for 30 miles. 6. Just before the VT state line, when Rte 7 turns right, follow the green "TO 279" sign straight ahead. 7. Rte 279-E for 3 miles. 8. Rte 7-N for 21 miles. 9. Exit 4, Rte 11 for 40 miles. 10. Rte 91-N 68 miles. 11. Exit 17 at mile marker 110. 12. Right off ramp on Rte 302-E for 7 miles. NOTE: 302 makes right and left turns both in Wells River VT and again in Woodsville NH. 13. Right (at the big green iron bridge that you don't go over) on Rte 112-E for 56 miles to the end in Conway NH. NOTE: There is a Rest Area about halfway across Rte 112 in Lincoln NH on the right at the traffic signal across from the Rte 93 entrance ramp. 14. Left on Rte 113-E for 7 miles to the Maine state line. 15. The FNCA entrance is on the left, 2/10 of a mile past the state line, directly opposite Haley Town Rd (the first side street). There are two basic routes from Portland to camp: the Easy Way and the Short Way. From the airport, the Easy Way is 6 miles and 12-15 minutes longer that the Short Way. 1. Take Rte 302-W about 50 miles all the way to Fryeburg ME. The FNCA entrance is 1 mile beyond the center of town on the right directly across from the end of Haley Town Rd. 1. Take Rte 22-W (Congress St. in Portland) about 5 miles. 2. Right on Rte 114-N for 3 miles to the traffic signal in the center of Gorham. 3. Left on Rte 25-W for 11 miles through Standish. 4. 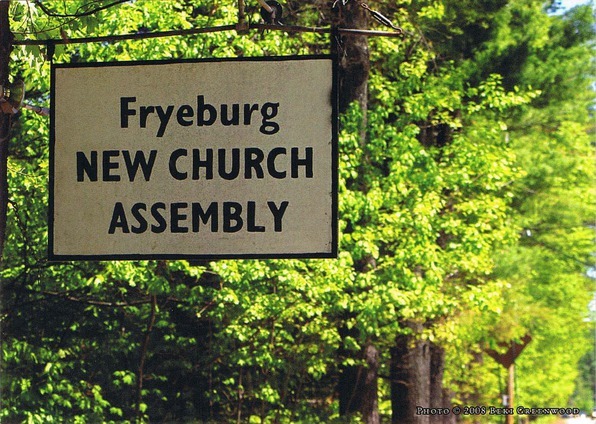 Right on Rte 113-N for 30 miles to the traffic signal in Fryeburg. 5. Left on Rte 302-W for 1 mile to the FNCA entrance on the right directly across the street from the end of Haley Town Rd. 1. Rte 302-W for 1.1 mile. 2. The FNCA entrance is on the right just past the Maine Information Stand (on the left) and directly across from the end of Haley Town Road.